Medieval songs and dances! 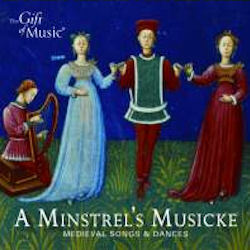 The music of the medieval minstrel in voice, and on the harp, pipe, tabor, and drum. Lively and cheerful dances and songs, including reflective ballads, each played on authentic instruments of the medieval period.